Katina Desmond creates otherworldly images that transform the real world through her signature technique of oil painting on black and white photography. Seizing the abstract, ethereal qualities photography reveals in the environment, she mutates the mundane into the mysterious by highlighting the archetypal patterns, textures, and forms present around us. She is continually producing new bodies of work with a progressive range of concept and technique: black and white silver gelatin photographs, hand-painted black and white photography, mixed media, collage, digital art. Katina grew up in the mountains of rural Topanga Canyon, California, surrounded by natural beauty, which continues to influence her art. "I think that the 'spirits' or images that I see in natural and found objects are directly related to my childhood experience roaming the magical woods and mountains near my home." transcendent beauty, dreamlike imagery, hidden presence. atmospheres that resonate with both recognition and mystery. that surround us, inform us and connect us on many levels. 2010 A.C.E.  Artist's Choice Exhibition - Pasadena Society of Artists. 2009 Brand 38: Thirty-Eighth Annual National Juried Exhibition. 2010 Award of Excellence "Open II"
Ms. Desmond's work is included in numerous public, private, national and international collections. 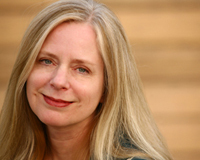 Ms. Desmond studied Otis Art Institute and University of Southern California.